Rachel Schilkowsky graduated from Cornell University with a Bachelors of Biological Engineering and a Masters of Mechanical Engineering. 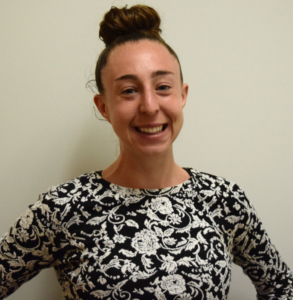 As a graduate researcher, Rachel performed fatigue testing on human trabecular bone and created finite element models to quantify the type and intensity of resulting bone damage. After graduating in 2014, she worked for two years as a research analyst for a medical device consulting firm. Her work there included analyzing scientific and technological developments for specific technology sectors and counseling R&D teams in support of product development, intellectual property strategy, and technology transfer. In 2017 Rachel joined the RIH Orthopaedic Foundation Test Facility. Her responsibilities as a test engineer include developing and implementing mechanical test programs to meet regulatory requirements, coordinating and assisting with bioskills laboratories, and performing compliance testing for sports protective equipment. Joseph J. Crisco III, Ph.D.